French football team has been honoured with its second world champion title, we are doing the same with French figure skating and our new ambassador! Najete Kada, artistic roller world emblematic figure, joins Flaneurz ambassadors group. Najete Kada is a figure skater, SkateXpress member and coach in the Brie-Comte-Robert club for the artistic section too. How do you practice figure skating? Like ice skating, this sport consists of performing a acrobatic tricks set in a several minutes’ program. Judges delivered the results with a scoring system. It is an individual sport. However, you can practice it in pairs, or in team in the case of group skating. There are different dimensions according to the specialty, which offers original performances and unique choreographies. Najete answered a few questions to let us discovered her passion and how Flaneurz joined her daily life. Why did you choose artistic roller skates? Did you think you could have a top sport career? 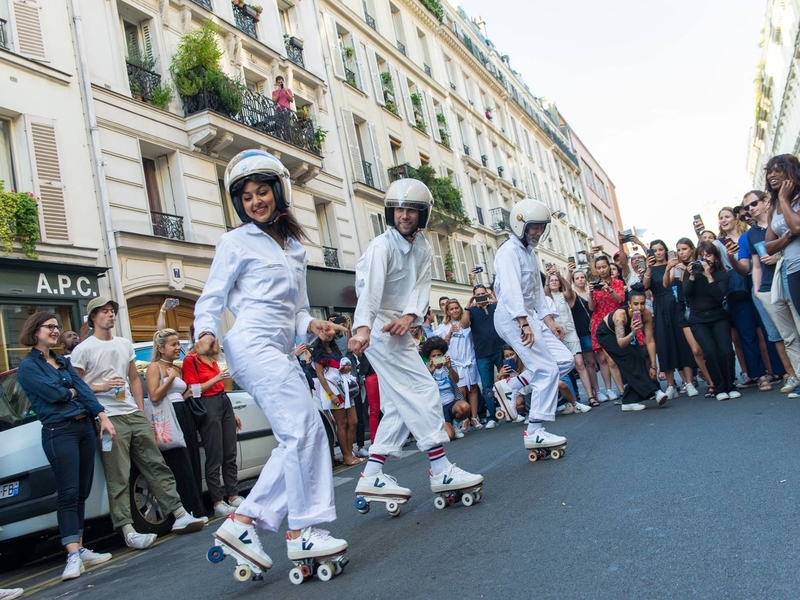 /I grew up in Parisian suburbs where figure skating on wheels was part of the neighbourhood. We played basketball or put on skates. More talented on my legs than with my arms, I naturally choose skating. In addition, my parents found it practical to combine school and sport with a gymnasium at 300m from home. /You started by having fun! If you have talent and people around us, you start working for the top level. I was lucky because one of the best French coaches spotted and helped me to progress. /Of course, there's more than one! I will always remember my first participation at the 2005 World Figure Skating Championships in Rome. I was trusted to represent France even if I was only 17. I must admit that the 2015 French championships in Lille, marked me a lot too... After a underperformance during the short program (5th in the rankings), I have been combative on the long program. Supported by the public and my family, I realized a near-perfect program to finish on the podium highest step! I became the French figure skating champion for the third time in a row. 5 participations in the solo (15th) and group (7th) world championships. If I wanted to be a skater, what advices would you give me? You should practice as often as possible. This allows you to get to know yourself better and explore different practices: dance, urban travel or skatepark. Then you'll know what discipline you're cut out for. I think you have to be open-minded about the whole skating world. In my case, I like diversity, so I have several skates pairs. How did you know Flaneurz and what do you like about the concept? I discovered Flaneurz when I joined the roller dance team SkateXpress 2 years ago. Florian, Flaneurz co-founder, introduced me to the concept. I dance with him today. Compared to other skates, it's the innovative and practical side that I like the most! There is range products style and originality too. This allows you to express your personality by choosing a pair that looks like you, while clipping its rolling part. It's just wonderful! How do you use your Flaneurz in your daily life? I use my Flaneurz detachable rollers to dance and move... And also to train! I give figure skating lessons in several clubs in the Paris region. Having Flaneurz means arriving in sneakers and being able to clip on/clip out as many times as necessary during classes. This allows me to follow my young skaters on the track as well as possible. 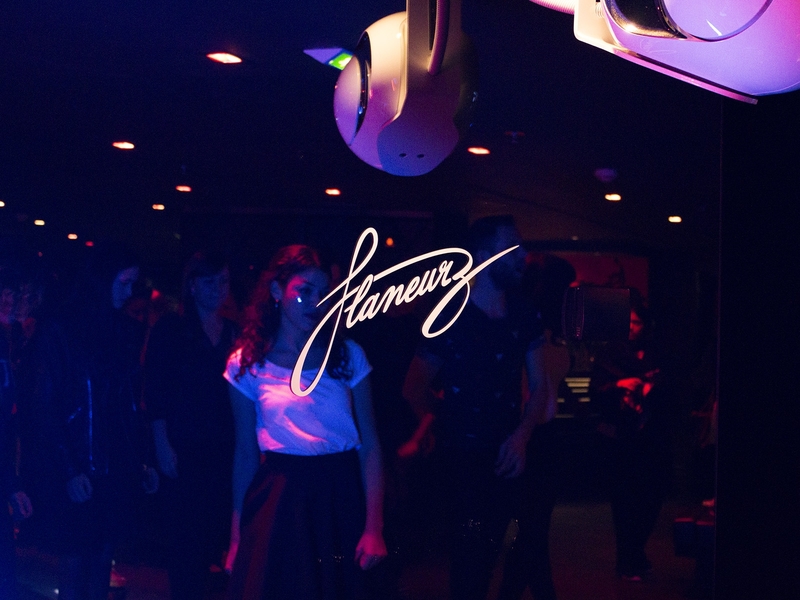 What does it mean to you to be an ambassador for Flaneurz? An honor! There are few brands in the figure skating world. Most of the time they are sponsors in the literal sense: they offer equipment that is not necessarily used... With Flaneurz, you can mixt a daily life use with fashionable shoes. 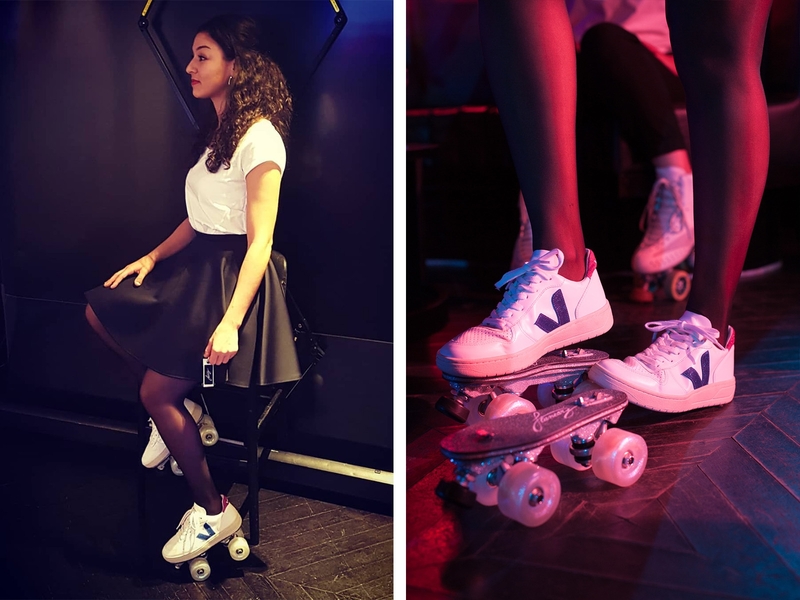 The brand brings together the roller community, around workshops and parties. It's unique in the sports world. It is quite simply a brand that looks like me: young and dynamic! As “faces of our brand and our values”, our ambassadors make us proud. We welcome Najete and we are pleased that she joined us. Find us on the social networks (Facebook and Instagram), to be informed of the next events in Paris or elsewhere, and subscribe to the newsletter to receive our news! Flaneurz at your feet, smile on your lips, our new ambassador is full of positive energy.